There are many positives to using fabric display signs at the next trade show you attend. Trade shows offer a great opportunity for brand awareness and connecting with potential new customers. Visual advertising at a trade show helps your company stand out from other businesses. With the number of competitors that can be present at a trade show, it’s important to use displays that resonate and highlight what sets your company apart. 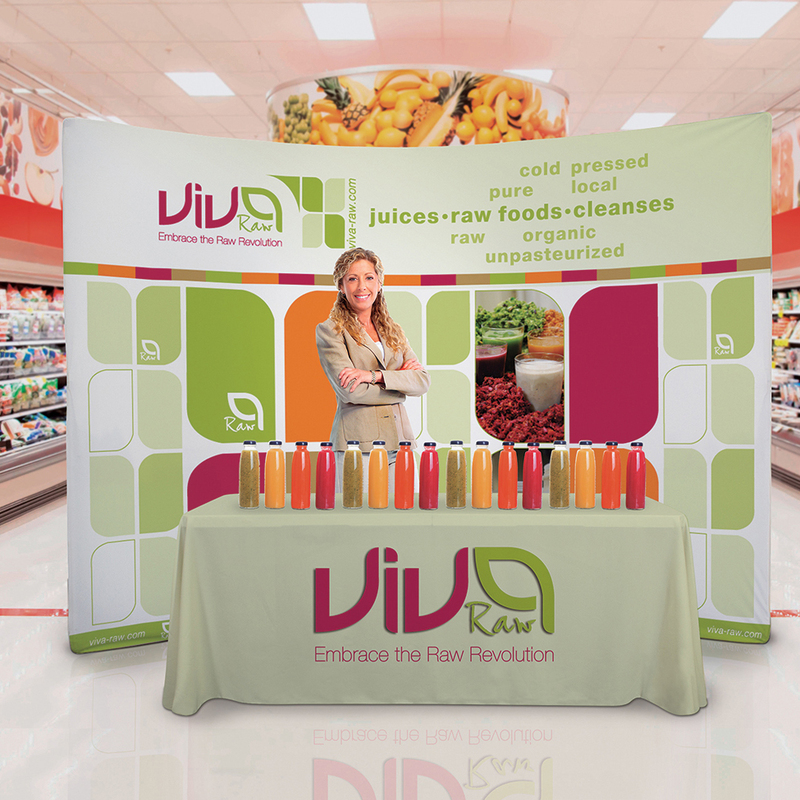 One of the ways to advertise at a trade show would be to use fabric displays. There are a few uses that fabric display signs can provide at a trade show. Unlike traditional fabric signs that cannot be reused, modern fabric displays are made to provide durability. Also, 3D-effects and vibrant colors can be printed on fabric displays. Fabric display signs come in different forms such as suspension, fabric banner stands, hanging displays, pop-up displays, and more. One of the many benefits of using fabric display signs is that they are easily customizable. The fabric can be printed with any image, text or color needed. They can also be layered and changed to give a 3D effect. Creating a large background to capture the attention of clients is easily achieved with a fabric display sign. Trade booths are generally within a small area which makes it a challenge to advertise at a trade show. Fabric display signs offer versatility, as they can be placed in aisles, used as a backdrop, and hung above the booth, providing your trade booth height and exposure. Also, fabric display signs can be used in frames, and be attached to a backlight which gives a creative twist to your design. The material used in creating fabric display signs are well-made, which allows you to reuse them for multiple events and shows. Not only are fabric display signs reusable, but they can be washed if they get dirty or stained. Washing the fabric display also does not fade the material, which makes it one of the most durable signs available. Consumers at a trade show have plenty of signs and visual elements to gaze upon. With the overload of visual elements, it can be a challenge to stand apart from the competitors. Fabric display signs are visually attractive, which helps clients see your trade booth easier, and it helps leave a lasting impression. Trade-shows are a great way to promote your company’s brand or a way to interact with new customers on the latest exciting news from your business. Conventions and trade-shows typically have a big turn out from consumers. At Florida Graphic Services, we print and create visually stunning fabric display signs, large format banners, and more. Our equipment and service professionals will create the display of your size and graphics choice. Contact Florida Graphic Services today to get started on creating your fabric display sign at buy viagra online next day delivery can you buy viagra at a gas station (877) 477-9780!